Our 2019 float concept has been approved and will feature a live band playing at the front! Our Battle for the Band competition gives any musically talented Torrance resident an opportunity to perform in front of millions on New Year's Day! See the details on our home page. A high school competition was held to solicit input for the concept and the sketch submitted by Justin Kim from West High School was selected. As his prize, Justin will be riding on the float he designed on New Year's Day. Our float is being built! 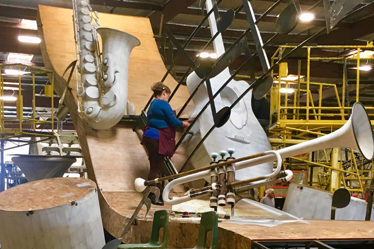 The base of the 2019 float is being worked on right now by Fiesta Parade Floats! 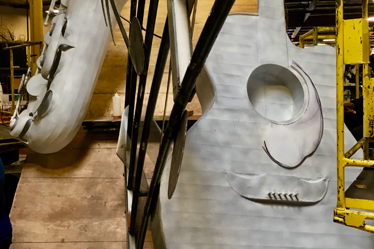 You can see the elements coming into shape that will form the basic shapes on the float. This photo was taken late May 2019. 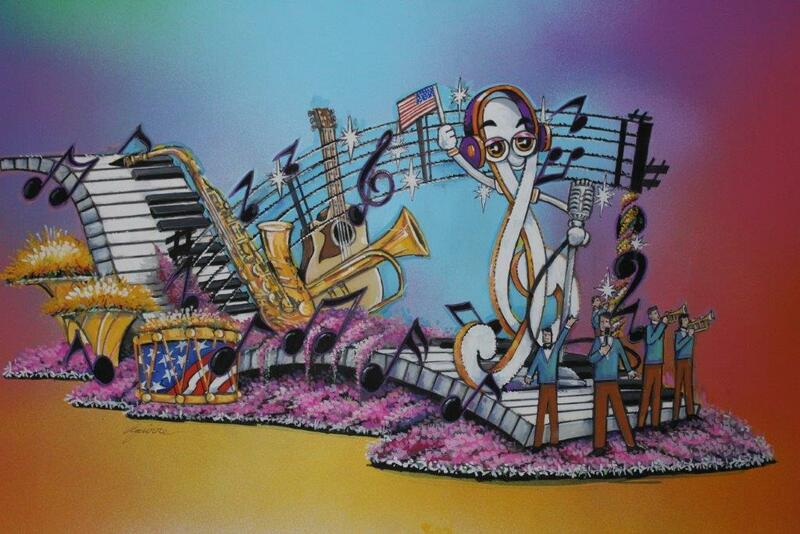 Here's a close-up of some of the details on the saxophone and guitar that will be on the float. Just imagine how beautiful it will look once it is adorned with flowers and other natural materials when it is done!